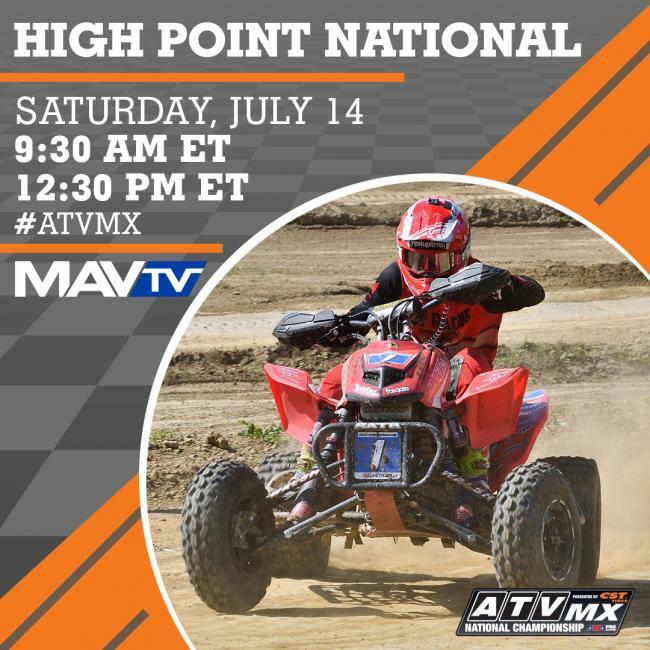 MORGANTOWN, W.Va. (July 13, 2018) – Tune in to MAVTV this Saturday, July 14 at 9:30 a.m. ET and/or 12:30 p.m. ET for the ATV Motocross National Championship (ATVMX) presented by CST Tires to watch round five – High Point ATVMX National highlight show from Mt. Morris, Pennsylvania.